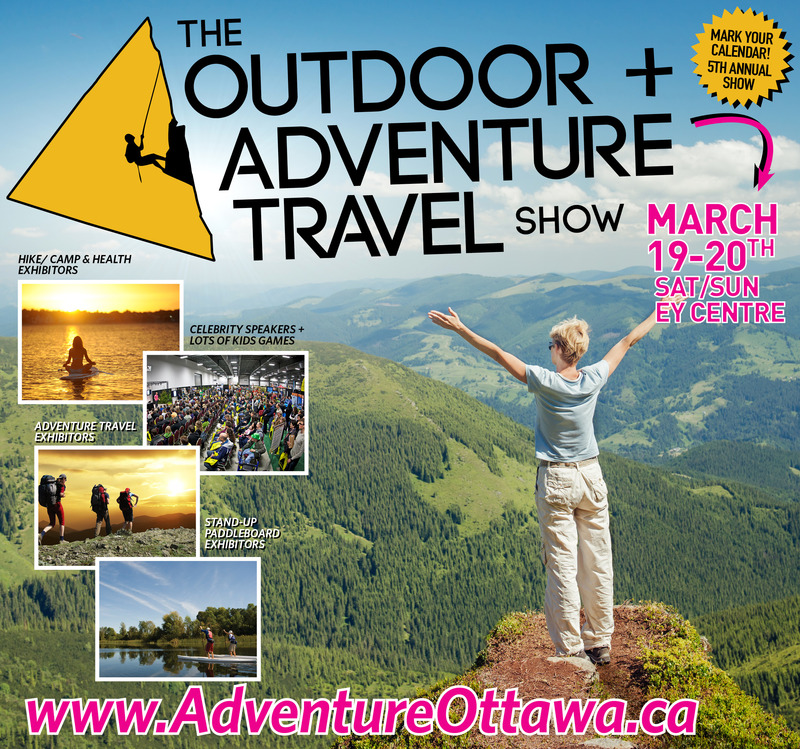 Ottawa-Gatineau’s Outdoor Adventure Travel Show is coming! Only ten more days until the much anticipated and sold out show! Ecology Ottawa will be attending the Outdoor Adventure Travel Show (occurring March 19th-20th) where they along with Tree Ottawa will be boothing as one of the many other exhibitors also attending. With the warm weather back, it’s time to make your summer outdoor adventure plans now. ► Book your next trip outdoors with our wide variety of tourism exhibitors – will you head to Cochrane or Colorado? ► Stock up on discounted tents, outdoor apparel, and other gear – the most the show has ever had! ► Get lost in the great tales of Canadian adventure legends like Becky Mason and Kevin Callan, both from our stage and from our massive Paddlesports Pool! ► KIDS GET IN FREE! We’re proud to offer this jam-packed event at no charge to children 17 and under. Give them a March Break to remember with our rock climbing wall, live animal displays, outdoor skills demos, scavenger hunt, and more! Join us March 19 – 20 and make 2016 your most memorable year outdoors yet. Whether you’re into camping, paddlesports, cycling, or just getting out for a good run, the show will have something to get you more pumped than ever to spend time outside. Book a trip with amazing show specials, stock up on discounted gear (the most we’ve ever had), and get inspired by our region’s most interesting adventure experts, who will show you how to get the most out of your time in nature. Sound fun? For more show info, please check out www.adventureottawa.ca. See you at the show!